By olduvai in Environment on November 3, 2018 . 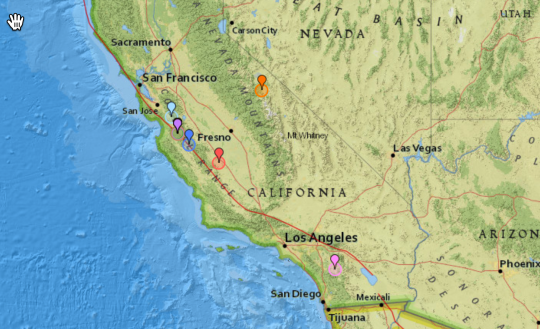 A series of large earthquakes has rattled California over the last 24 hours, and scientists are telling us that the shaking was the result of “movement along the San Andreas Fault system”. In recent months there has been an alarming amount of seismic activity all along “the Ring of Fire”, and there have been times when the number of global earthquakes has been way above normal. Could it be possible that all of this unusual seismic activity is leading up to something? As you will see below, experts are telling us that we are overdue for the “Big One” to hit California. And when it does eventually strike, it could be far worse than most people would dare to imagine.